Carbon dioxide isn’t the only one that matters, and the gases vary widely in potency and duration - Susan Solomon and IDSS colleague Jessika Trancik explain to MIT News. The usual way of comparing greenhouse gases is through a single conversion factor, called the global warming potential, which uses a somewhat arbitrarily chosen time horizon of 100 years. For methane, this is usually given as a factor of 25 (that is, methane is 25 times more potent than carbon dioxide). But Trancik suggests that it is more meaningful to use “goal-inspired metrics,” which incorporate the different residence times of different gases over a time span that depends on when the emissions occur relative to a mitigation goal: an instantaneous climate impact (ICI) and a cumulative climate impact (CCI). She says that how much weight to give the different factors “comes down to how much you care about the rate of change in the short term, as opposed to the equilibrium state” that the climate will ultimately settle in to — which may not be reached for centuries. Solomon’s research has recently shown that some of the effects of greenhouse gases can persist for centuries, even after the gases that initially triggered those changes are no longer being emitted at all. Specifically, the expansion of water as it warms, combined with the melting of polar and glacier ice, can lead to significant sea-level rise that would last for centuries even if all new greenhouse gas emissions were stopped altogether. That’s because these gases will remain in the atmosphere and continue to trap heat long after their sources are eliminated — a fact that’s sometimes overlooked in discussions of mitigating climate change. If all carbon dioxide emissions were eliminated by 2050, Solomon and her co-authors found, as much as half of the emissions would still be in the air 750 years later, and still warming the planet. Left hand side bar image - This chart from the Intergovernmental Panel on Climate Change (IPCC) 2011 report shows the relative importance of different factors in driving climate change — through their influence on the atmosphere’s radiative forcing, an index of the amount of incoming heat from the sun that is absorbed by the Earth rather than radiated back out into space. Carbon dioxide (top bar) is the greatest factor. The second bar includes methane (CH4), nitrous oxide (N2O), and halocarbons, such as chlorofluorocarbons (CFCs). Other factors have weaker effects. Image from the 2014 Intergovernmental Panel on Climate Change (IPCC) Synythesis Report. 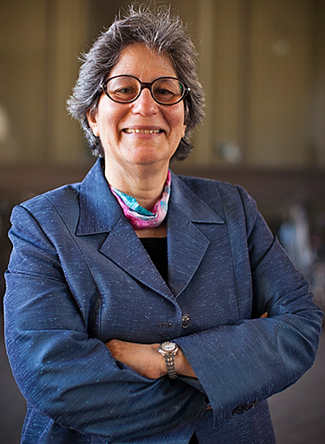 Susan Solomon is internationally recognized as a leader in atmospheric science, particularly for her insights in explaining the cause of the Antarctic ozone "hole". She and her colleagues have made important contributions to understanding chemistry/climate coupling, including leading research on the irreversibility of global warming linked to anthropogenic carbon dioxide emissions, and on the influence of the ozone hole on the climate of the southern hemisphere. Her current focus is on issues relating to both atmospheric chemistry and climate change.